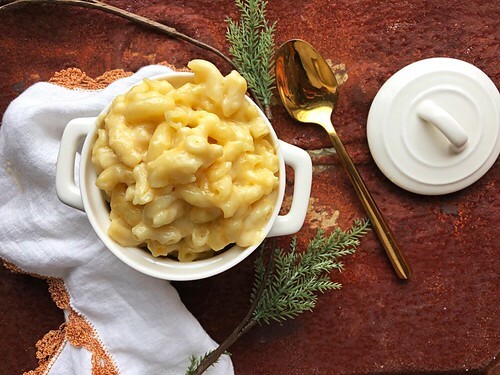 Macaroni and cheese is absolutely one of the top comfort foods for me and my family. Over the years, I’ve experimented with countless methods and ingredients. Some are fancy and feature strong bold cheeses and crispy crumb coatings. Some have add-ins like broccoli or bits of ham. There have been dense versions, creamy versions, quick versions, slow cooker versions … so much macaroni and cheese! If your home is anything like ours, weeknights can be a little crazy with everyone running off in different directions. We are currently in the season of our lives where we are only together for dinner three nights a week (that competition cheer schedule is no joke! 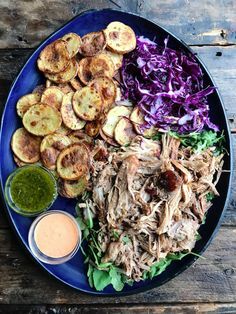 ), so that means I use quick and easy recipes that are fairly hands-off on those crazy nights, and make more labor-intensive recipes on our nights home together. 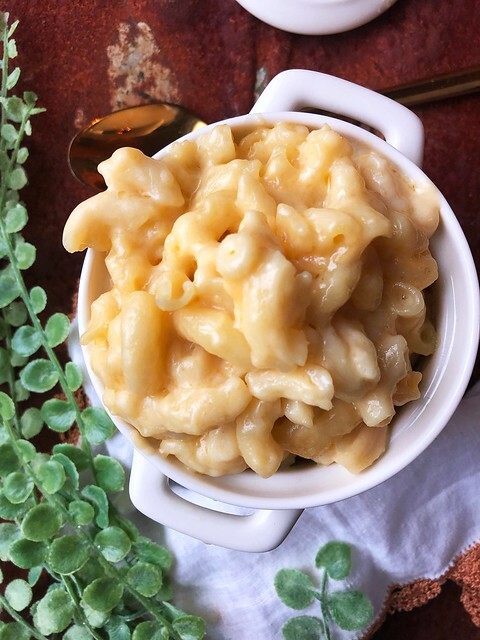 This Easy Slow Cooker Cheddar Mac recipe is perfect for an evening of chaos, or when you just can’t bear adding another drain on your resources. 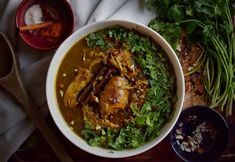 Outside of cooking the pasta for just three minutes, and loading up your slow cooker with a few simple ingredients, this recipe is very hands-off, which is why I love it. I use a blend of Cabot cheeses, to appeal to my picky eaters, but feel free to change it up to suit your own personal tastes. My kids don’t love super strong cheese, but I do, so I marry both of our preferences by combining a sharp Cheddar with something more mild and creamy, and everyone is happy. I have been working with the folks at Cabot in various capacities over the last few years, and they’re one of my favorite clients. 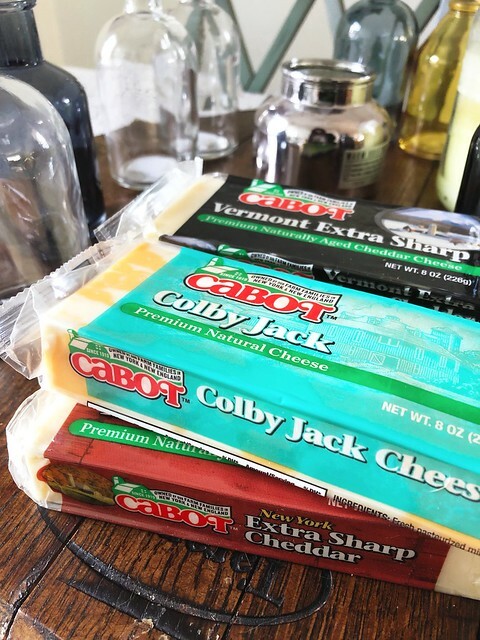 Mostly because it’s not your typical company … Cabot is a co-op owned by over 1100 farming families throughout New England and New York, and 100% of the profits go back to the farmers. The company is a huge supporter of local community – be sure to check out their Reward Volunteers information. It’s a great program that I tell everyone about because it rewards you and me for volunteering and giving back to our community. Cook pasta in boiling water three minutes short of recommended cooking time on package. Spray the inside of your slow cooker with olive oil spray. In your slow cooker, add the cooked and drained macaroni, milk, Cabot cheeses, and butter. Mix to combine and top with the Parmesan cheese. Set on low and cook 2-3 hours, stirring occasionally and checking for doneness at around two hours. *Notes: When I want to make a slightly fancier version of this, I’ll melt a little additional butter and add it to some panko bread crumbs for a crispy topping.